Are you ready for a super fun series?! 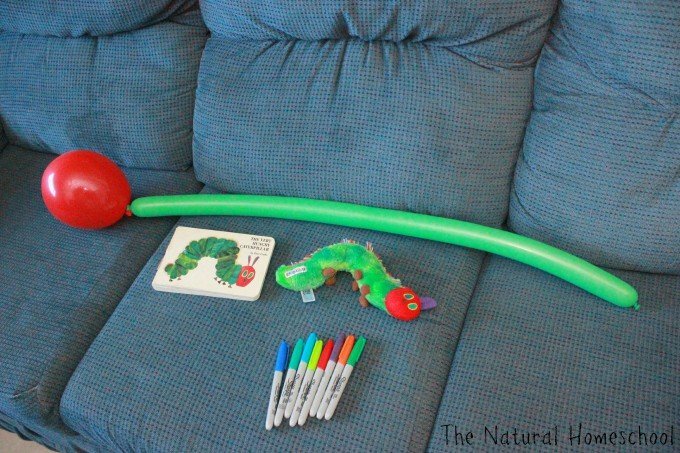 It is “a post a day” about The Very Hungry Caterpillar. Be on the lookout for a new post daily to see all the fun things we have put together for you! 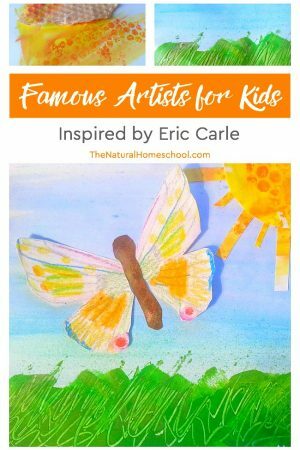 First, we read The Very Hungry Caterpillar by Eric Carle. We discussed how many things it ate before transforming into a beautiful butterfly. 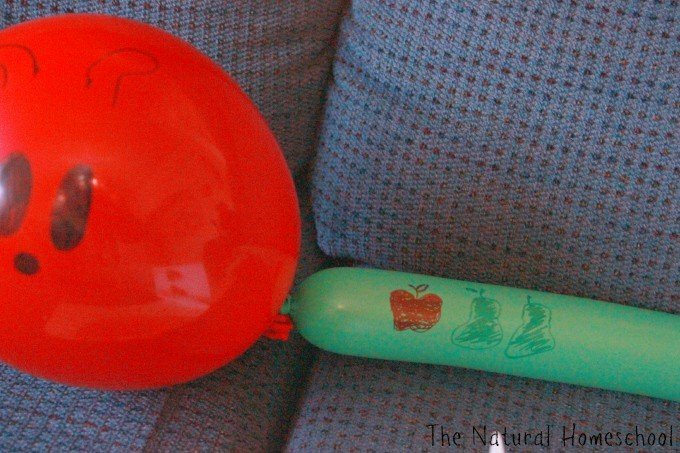 Then, I took out one red balloon attached to a skinny green balloon. 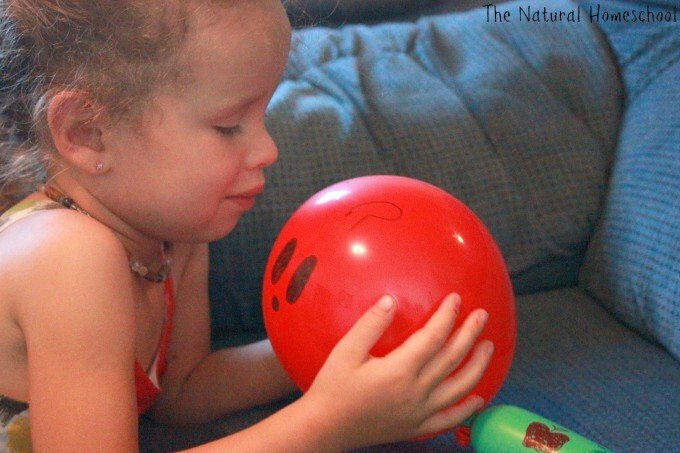 Using a permanent marker, I did my best to draw the caterpillar’s face on the red balloon. 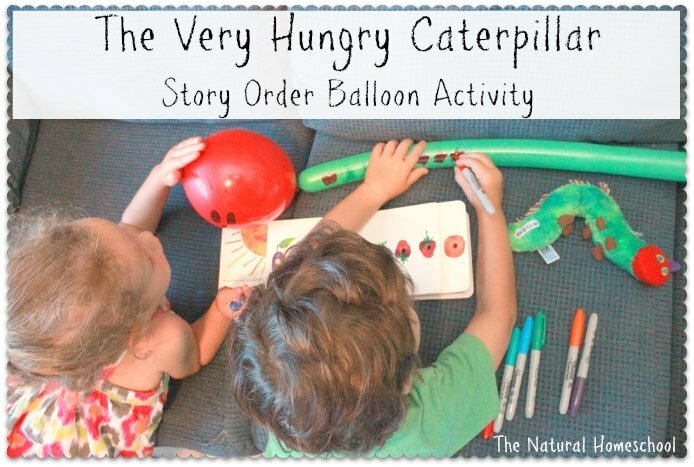 Next, we read The Very Hungry Caterpillar once more, but one page at a time and stopping after each page to draw on the green balloon what the caterpillar ate each day. We made sure we read in order and drew in order. My children had so much fun! 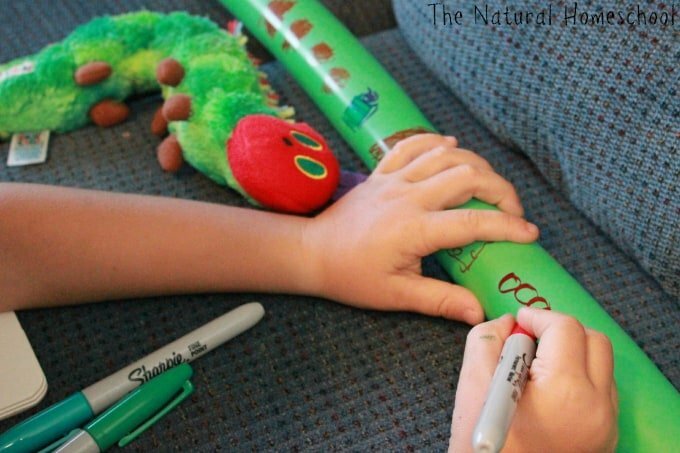 Even my 3-year old helped. 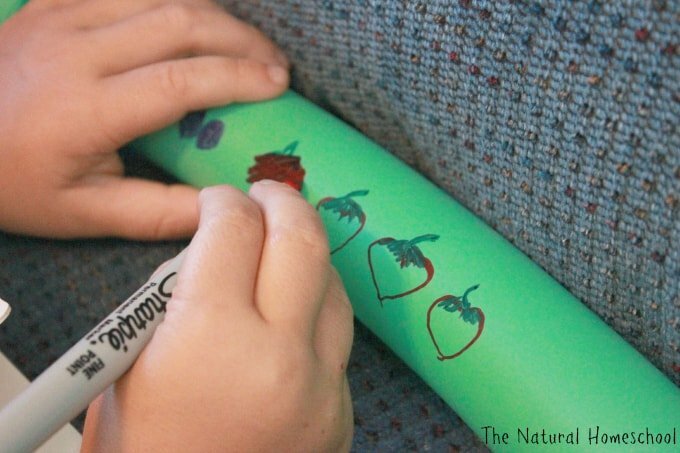 I would draw the fruit for her and she would color them in. Then it got to the picnic foods. My children needed a little bit more help drawing some of them, but overall, they did great. 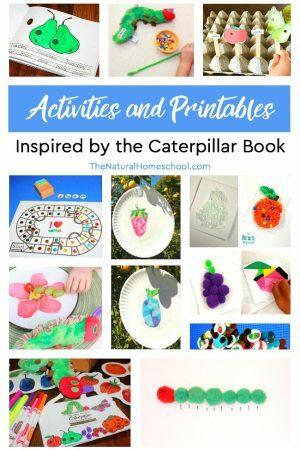 We all had a lot of fun making our caterpillar and realizing how much it ate in all. We drew all the way to the very end of the balloon! Wow! 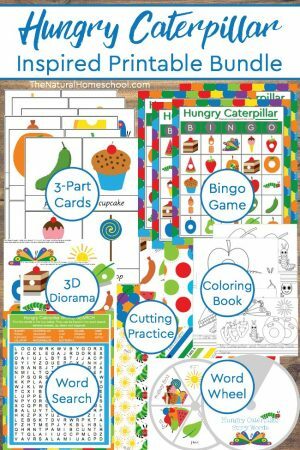 And don’t forget to visit our landing page so you can read more posts, get more ideas and awesome FREE printables from The Natural Homeschool, Harrington Harmonies and The Life of Jennifer Dawn! 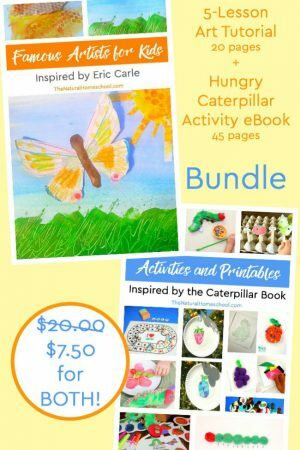 I will add more to the landing page as The Very Hungry Caterpillar Week progresses. This is such a sweet post! 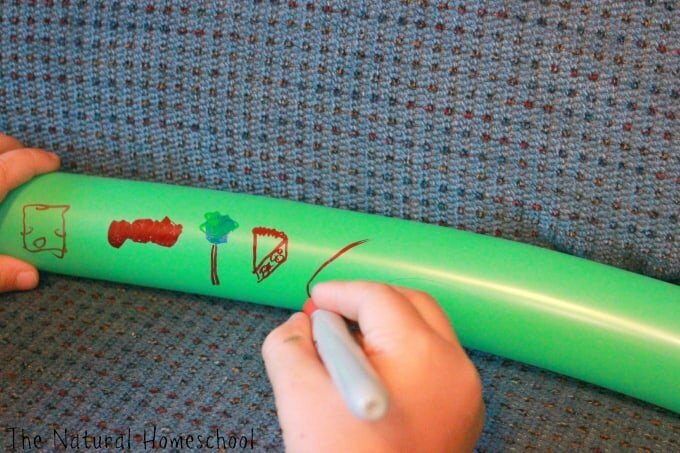 I love all the food drawings on the long skinny balloon. 🙂 Great job!